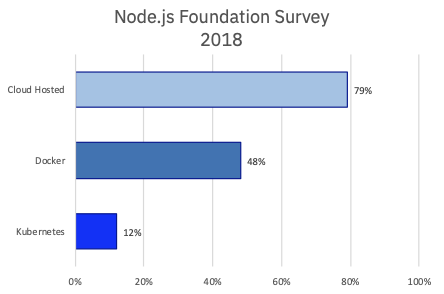 Node.js applications are overwhelmingly being deployed to clouds, with 79% of Node.js developers reporting using cloud providers for their production applications. 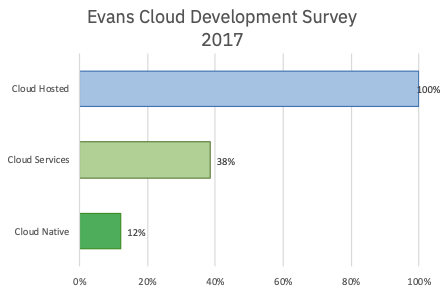 While almost half are using Docker, only 12% are using container orchestration technologies like Kubernetes. The aim of the CloudNativeJS.io community project is to simplify building cloud native applications that are not just hosted in cloud environments, but that fully leverage and integrate with the additional capabilities that the platform provides. This includes providing documentation and tools as well as a core set of modules designed to help you build and deploy best-practise cloud native microservices that integrate with the Cloud Native Computing Foundation open source technologies. CloudNativeJS.io Learn more and contribute to the project. The community project on GitHub Contribute to the community project on GitHub. Individual CloudNativeJS projects Contribute to individual CloudNativeJS projects on GitHub.